Human health and well-being are tied to the vitality of the global ocean and coastal systems on which so many live and rely. We engage with these extraordinary environments to enhance both our health and our well-being. But, we need to recognize that introducing contaminants and otherwise altering these ocean systems can harm human health and well-being in significant and substantial ways. These are complex, challenging, and critically important themes. How the human relationship to the oceans evolves in coming decades may be one of the most important connections in understanding our personal and social well-being. Yet, our understanding of this relationship is far too limited. This remarkable volume brings experts from diverse disciplines and builds a workable understanding of breadth and depth of the processes – both social and environmental – that will help us to limit future costs and enhance the benefits of sustainable marine systems. In particular, the authors have developed a shared view that the global coastal environment is under threat through intensified natural resource utilization, as well as changes to global climate and other environmental systems. All these changes contribute individually, but more importantly cumulatively, to higher risks for public health and to the global burden of disease. 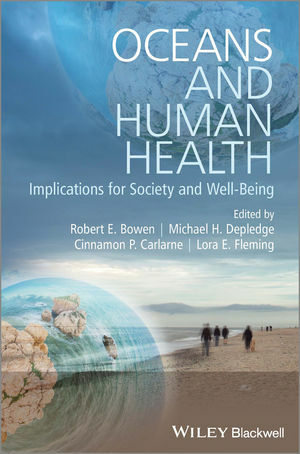 This pioneering book will be of value to advanced undergraduate and postgraduate students taking courses in public health, environmental, economic, and policy fields. Additionally, the treatment of these complex systems is of essential value to the policy community responsible for these questions and to the broader audience for whom these issues are more directly connected to their own health and well-being. "The seas across this planet and their effects on human society and its destiny are a fascinating subject for analysis and insights derived from intellectual inquiry. This diverse and complex subject necessarily requires a blending of knowledge from different disciplines, which the authors of this volume have achieved with remarkable success." "The following pages in this volume are written in a lucid and very readable style, and provide a wealth of knowledge and insightful analysis, which is a rare amalgam of multi-disciplinary perspectives and unique lines of intellectual inquiry. It is valuable to get a volume such as this, which appeals as much to a non-specialist reader as it does to those who are specialists in the diverse but interconnected subjects covered in this volume."